"Elon Musk of China" Strives for "Synergy Between Machines and Humans"
Doctor Liu Ruopeng has been called the Elon Musk of China. His company is involved in several projects that sound like they are straight from science fiction – balloons that fly to space, jetpacks, flying cars, and metamaterials. Metamaterials were what made Dr. Liu famous. As a doctorate student at Duke University, he became known for his work on the “invisibility cloak,” a type of material that manipulates light and makes the wearer seem invisible. His company Kuang-Chi Science Limited (光启) made its first strides in 2010 with only five employees. Today, Kuang-Chi, and its so-called Global Community of Innovation, has more than 2,600 employees in 18 countries and regions. They have opened an Innovation Center in Tel Aviv, Israel and launched the ASEAN Innovation Headquarters in Singapore. Kuang-Chi is also known for launching a turtle into near space with their low-cost Traveler aircraft attached to a balloon made out of metamaterial that could one day enable humans to enjoy spectacular views of Earth. The company has announced a space-travel theme park and has been testing its aircraft in the deserts of Xinjiang, China. For the comparison with Elon Musk, Dr. Liu notes that there are very few companies that engage in aviation and space rocket research and development, so they do not face much competition. 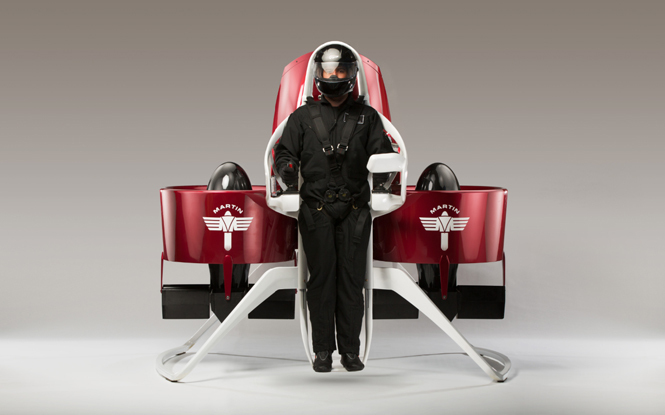 “Very few companies are working on airplanes, jetpacks, rockets, space, and metamaterials. It’s way easier compared with 10 years ago if you want to build a rocket, or an airplane or anything like this,” he said. “I think it will be a new trend for people to go to this heavy industry”. Critics have been quick to point out that his explorations in near-space flight and metamaterials, as well as the purchase of Martin Jetpack, have been expensive projects funded with the help of the Chinese government and have yet to yield a commercially viable product. The pilot of the jetpack, P14, is due to come out this year, and could have many applications, including rescue missions, said Dr. Liu. Kuang-Chi’s newest project is bringing smart city technology to China with the help of the innovation center in Israel. The concept is aimed at increasing security, fire safety, and environmental protection. To protect city dwellers, Kuang-Chi aims to employ drones, robots, and flying machines aided by AI systems. 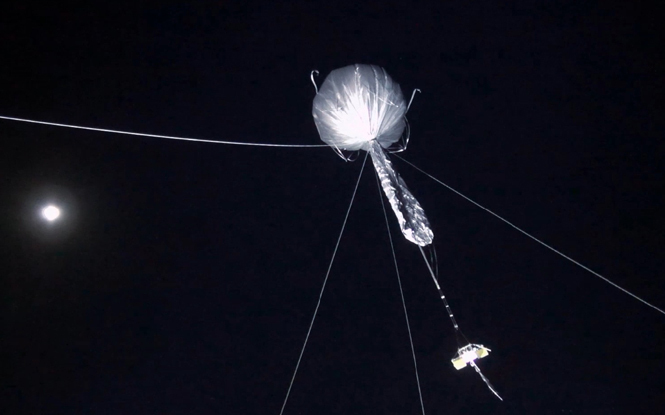 One solution is Kuang-Chi’s Cloud – a tethered aerostat that could become the city’s own satellite. 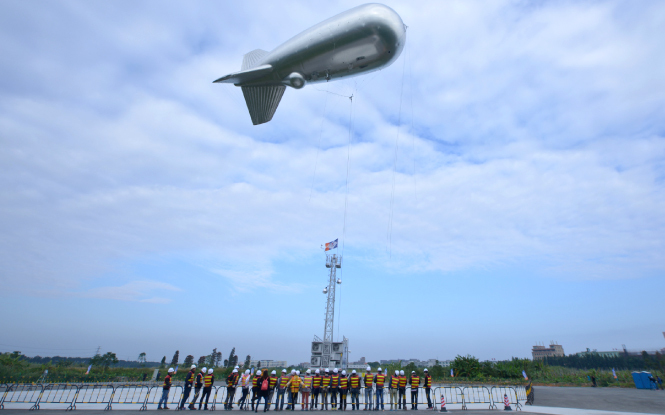 The zeppelin-like aircraft can monitor a very large area and function as a command center, Dr. Liu explained. And if you didn’t think this was Orwellian enough, Kuang-Chi is also investing in other cutting-edge technologies that can be used to increase security. They include AgentVi, a video analytics system for real-time event detection, and drone surveillance company SkyX. But it would be wrong to state that Kuang-Chi’s only interest is security. The company has established the Kuang-Chi Global Community of Innovation (GCI) fund in May 2016, worth $300 million, and has so far invested $50 million in various startups. During the second round of investments, the GCI fund aims to spend $250 million, and their first investment in the new cycle has been in Gilo, a UK-based propulsion engine company that has pioneered flying cars. Before that, Kuang-Chi has also backed biometric authentication provider Zwipe, emotion analysis software Beyond Verbal, and a low-cost aircraft company called Solarship. Dr. Liu said that his company wants to invest in technology that can make machines smarter.